Percy Jackson & The Olympians – A Harry Potter Rewrite? One series that helped me get over my Post-Potter depression was Percy Jackson & The Olympians. It’s a fun series of books that chronicles the tales of a young demigod named Percy as he fights off monsters and evil lords all while trying to have a somewhat normal adolesant life. 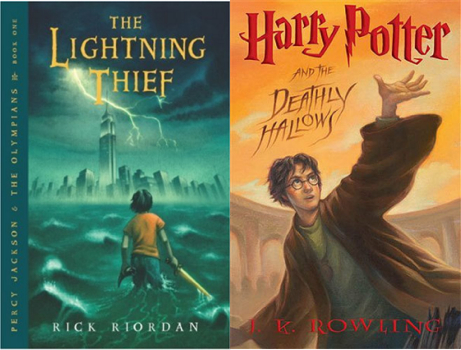 If you are an uber Potter-geek like me, you’ll notice quite a few similarities between the story of Percy and our favorite boy wizard. Here are a few that I noticed. Feel free to leave a comment and share your own! There is a teacher at both schools that has it out for the main character.